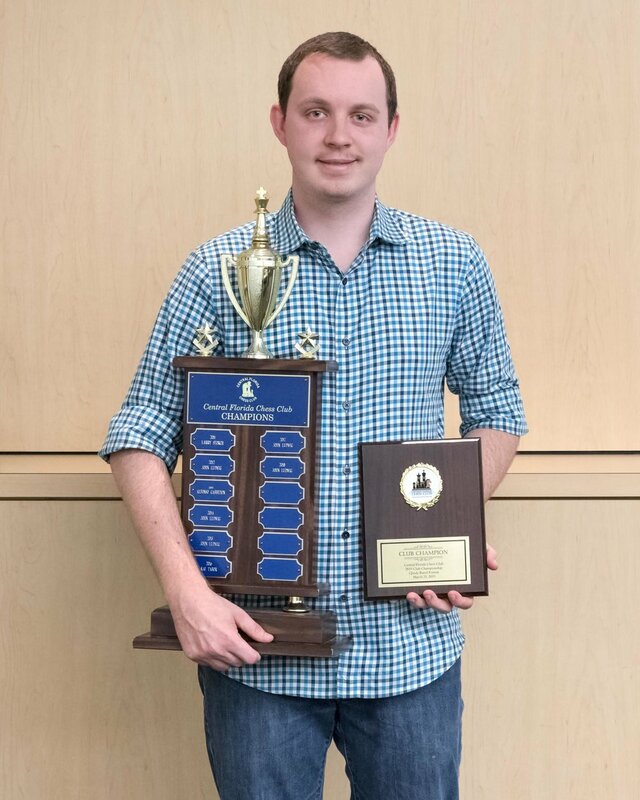 FM Dalton Perrine Wins CFCC's 33rd Club Championship With 4/5 Points! 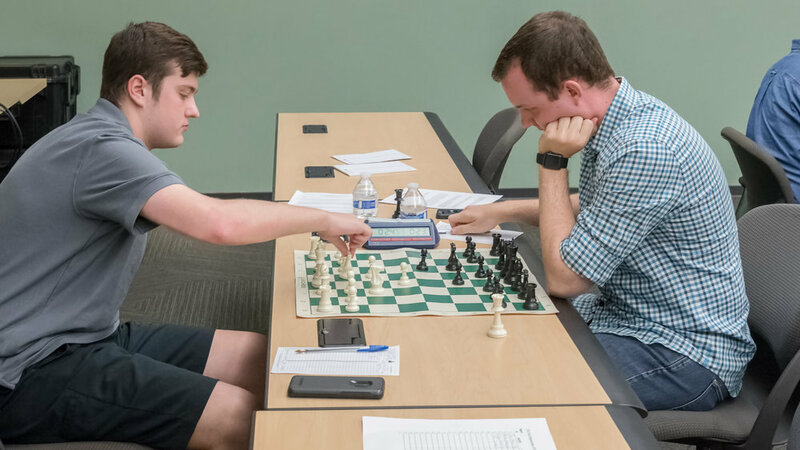 Congratulations goes to FM Dalton Perrine who finished with 4/5 points to become CFCC’s 2019 Club Champion among a field of 8 (USCF 1800+) rated tournament players. The club would like to thank all the players that participated in our inaugural invitation-only Club Championship this year! The newly adopted quick-rated 5SS G/25;d4 tournament certainly produced some interesting matches that will be part of TD Terrance Washington’s tournament recap coming shortly. 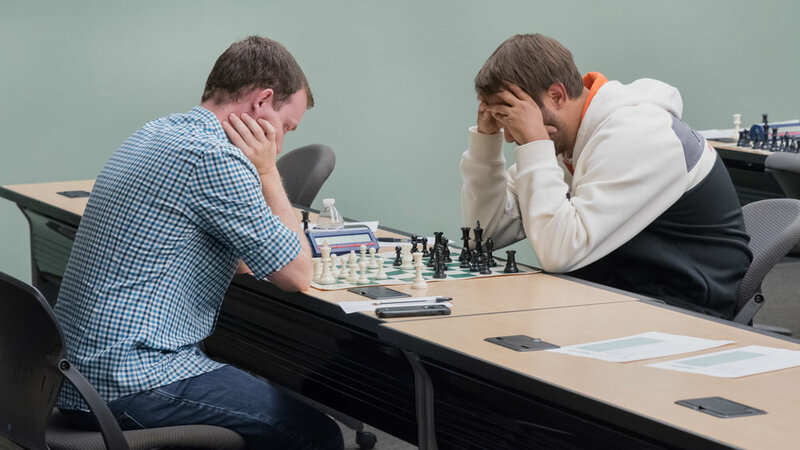 CFCC 2019 Invitation-Only Club Championship is March 23, 2019 - Spectators Are Welcome to Attend! 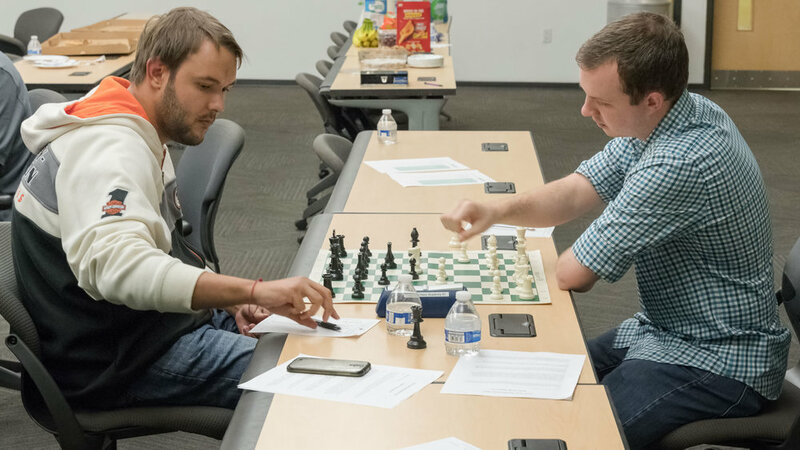 CFCC's 2016-2017 $600 Grand-Prix Prizes Awarded; 2017-2018 Grand-Prix Begins!